It has not been fresh news for all people to know the iOS4.2 software update for Apple iPad, iPod Touch and iPhone. Various pretty good new functions are sync introduced to iPad, iPod Touch, and iPhone, like multitasking on iPad, Folders on iPad, Airprint, Game Center, and so on, among which the newly AirPlay shows great popularity. AirPlay lets you stream digital media wirelessly from your iPhone, iPad, and iPod touch to your Apple TV and AirPlay-enabled speakers. So you can watch movies and photos on your widescreen TV and play music through the best speakers in the house. 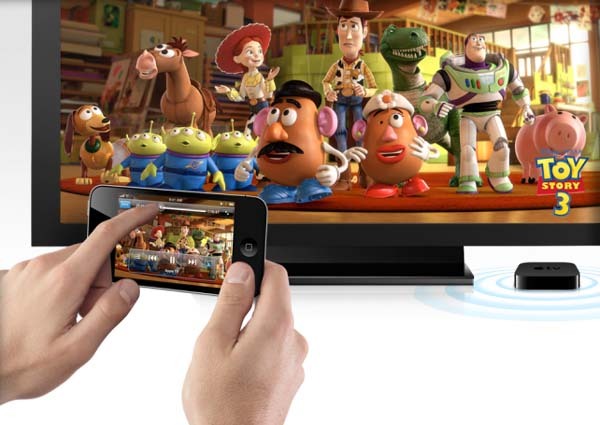 However, the present Video AirPlay could only be compatible with Apple video programs and YouTube video program. Thus if you want to enjoy more excellent videos on your Apple TV or other AirPlay-enabled widescreen players streamed from your iPhone, you have to get a video converter to convert the video formats to suite for your iPhone. To more perfect the AirPlay function of you iPhone by the Ios4.2 update, the first and the only thing you need is to get an iPhone video converter to make videos compatible for your iPhone. With an iPhone video converter, you can convert all videos to your iPhone compatible videos and then stream these videos to widescreen Apple TV or other AirPlay-enabled players. Now, it is quite the right time for you to enjoy both your iPhone videos streamed to widescreen TV through the newly AirPlay function, and many low discounted video converters, as there is a great activity for the upcoming Christmas you can take part in to get a valuable iPhone converter via really rare cost. To celebrate the approaching Christmas, a series of Christmas activity have been launched. If you want to make your iPhone AirPlay more perfect, you can’t waste this great opportunity, where you can get other low priced converters as well. This Christmas activity includes three parts. During the activity period, you can get all converters at a special offer, some even could save you up to 90$. For this part, there is no requirement for you to get the special offer converters. If you are not satisfied with this and want to get more valuable converters via even lower price, there are super-low discount converters and Christmas giveaway gift for you only by becoming a fan of Leawo. The super-low discount converters activity would be held on every Wednesday and Friday with content changed weekly, while the free Christmas giveaway gift would be available every Tuesday and Thursday also with content changed weekly. You can learn more detailed information just by clicking here. Isn’t it a great chance for you to make your iPhone AirPlay more perfect? Come on to do it and you will enjoy more.